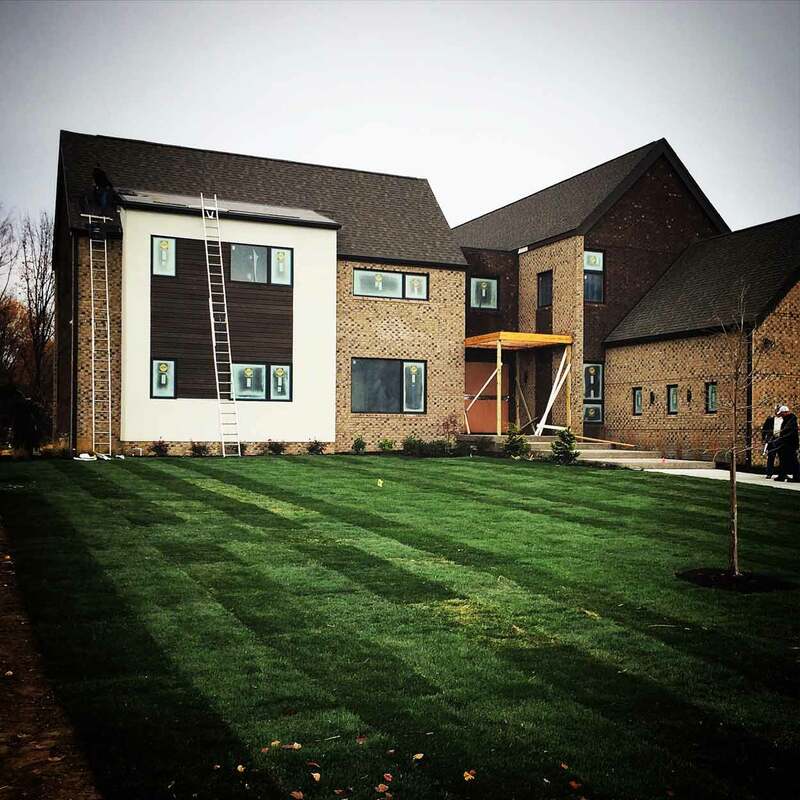 New Modern Home – Carmel – Treesdale Sod installed along with some landscaping. It’s great to see this project nearing completion in about 9 months from ground-breaking. A few final touches on the exterior (front porch, metal shed roof, gutter adjustments) and we will be about there! 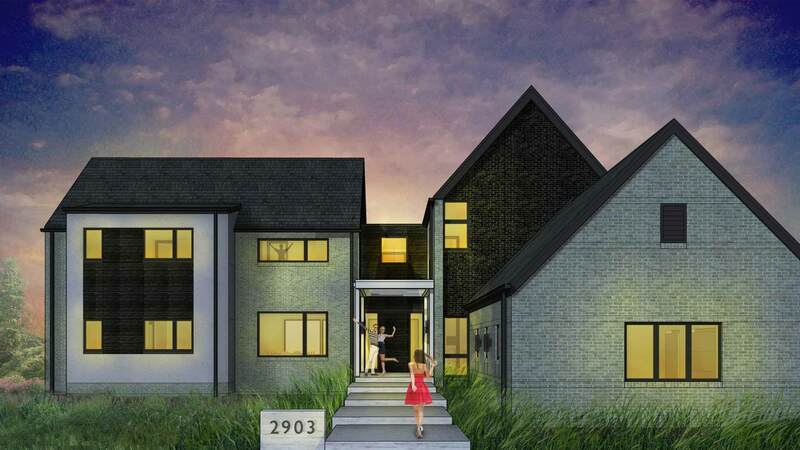 New Modern Home – Chicago in Indian Head Park Village is breaking ground this week. We are looking forward to seeing progress on this guy in the next 9 months. Thanks to our client and Joe Trojanowski for a good collaboration. 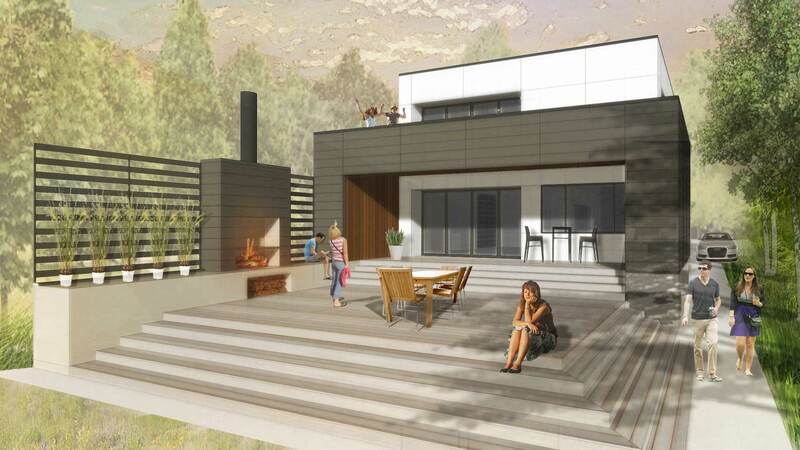 New Modern Home Treesdale is scheduled for completion in late Fall 2015 just in-time for our client’s new arrival (baby girl)! Please check back for more updates as this modern home nears completion. ADAGIO Penthouse Interior feature in Indianapolis Monthly, January 2013. The feature made their Top 5 most popular photo albums of 2013. New Studio Complete at HAUS | Architecture, ready for business 01/02/13. New studio is connected to house via a private observation deck on second floor of new modern carriage house. The detached live-work arrangement allows just the right balance of privacy and proximity for this growing family of four. 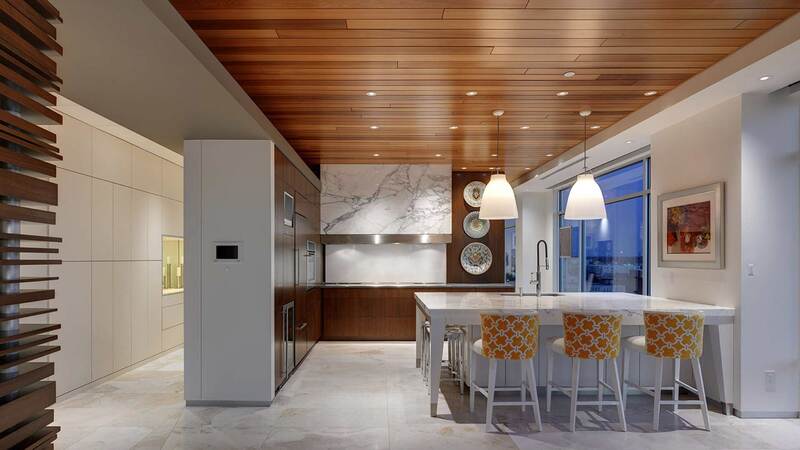 HAUS exhibits 2 of 7 homes on the 2012 AIA Architects Home Tour – ADAGIO-PENTHOUSE INTERIOR and URBAN MID-RISE FLAT. Thanks to our clients of the two units for participating and also thanks for Leo Stenz and the team at Stenz Construction for all of their coordination and the team approach. Private observation deck connects dwelling + studio. 11/09/11 Indianapolis, IN – Lutheran Child and Family Services (Indianapolis location) recognized with 2011 Monumental Affair Honor Award for Architecture, the highest honor of three projects recognized. 09/15/11 Dayton, OH – Lutheran Child and Family Services recognized with 2011 AIA Indiana Honor Award for Design, the highest honor of six projects by Indiana architects recognized (forty-six total entries) … congratulations to client and team. Exciting collaboration taking form – check back for updates.